Undocumented immigrants in New York who can't afford a lawyer and are facing deportation will soon have access to free legal counsel. The New York governor's office said last week that it is allocating $10 million in its fiscal 2018 budget toward creating a legal defense fund "to ensure all immigrants, regardless of residency status, have access to representation." Unlike U.S. citizens, undocumented immigrants don't have the right to free legal counsel. Called the Liberty Defense Project, the funding is part of a public-private partnership with the Carnegie Corporation of New York and the Ford Foundation. So far, the non-profit organizations have contributed $1.5 million, making the total funds available $11.5 million. "During these stormy times, it's critical that all New Yorkers have access to their full rights under the law," New York Governor Andrew Cuomo said when he first announced the program. The Liberty Defense Project will work with 182 advocacy groups and legal entities to provide attorneys to immigrants. To qualify, an immigrant's household income must be below 200% of the federal poverty line and must not already be represented by a lawyer, said Oren Root, director of immigration and justice at the Vera Institute of Justice, a nonprofit social justice policy group based in New York City. 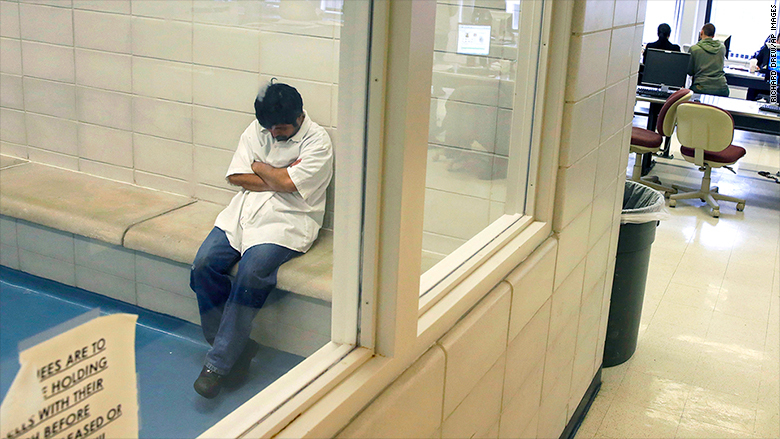 A person arrested by Immigration and Customs Enforcement officers sits in a detention room in ICE's New York headquarters. The Vera Institute is set to receive $4 million -- the largest slice of the funds from the state, according to the budget. "This funding is significant in that we will now be able to represent all detained people in the State of New York," Root said. Previously, the legal defense services Vera arranged for immigrants were funded by the New York City Council. Last year, the organization received $650,000 through the city's New York Immigrant Family Reunification Project. Since 2013, all of the city's eligible undocumented immigrants could secure a public defender through the New York Family Immigrant Reunification Project, Root said. Of those immigrants who had legal representation, roughly 30% were able to remain in the country, Root said. Outside of the city, Vera said it funded less than 20% of the need in New York State's three other immigration courts: Batavia, Buffalo, and Fishkill, Root said. Last year, nearly 4,400 immigrants in New York were deported after appearing in court, according to TRAC, a database of information on the staffing, spending and enforcement activities of the federal government that's run by Syracuse University. TRAC reviewed nationwide data on immigration hearings for women with children in 2015. Without representation, 98.5% of the cases were ordered to be deported. With legal representation, that percentage dropped to 73.7%. Other groups that will receive funds from the state include The Hispanic Federation, the Catholic Charities Community Services Archdiocese of NY, the New York Immigration Coalition, the Northern Manhattan Coalition for Immigrants Rights and the Empire Justice Center. The funds may be used for legal services, case management, English-as-a-second-language, job training and placement assistance and other employment-related services. However, the vast majority of the funding will go toward legal services, said Frank Sobrino, a spokesman for the governor's office. 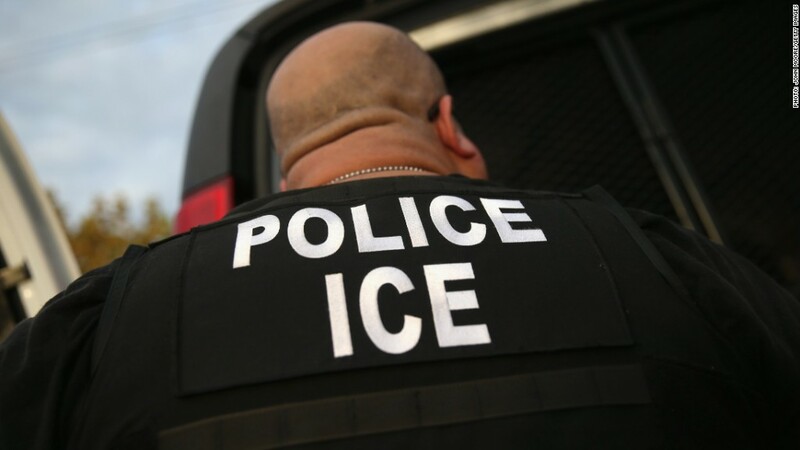 "The $10 million in the budget is a good start and an important investment," said Steve Choi, executive director of the New York Immigration Coalition. "But there are still major gaps in legal services. There are thousands of New Yorkers who are not detained, but face deportation and might have relief, but can't afford lawyers,"
New York is the first state to provide free legal services to immigrants, but California and several cities -- including San Francisco, Chicago, and Washington, D.C. -- have begun efforts to design similar programs, Root said.